Contact the Guild at 760.325.6107 to arrange for your contribution to be recognized as a memorial or tribute. An acknowledgment of your tax-deductible gift will be sent. If you shop regularly at Amazon and/or Ralphs you can register to have a donation made with each purchase at no extra cost to you. This is a perfect way to support the many free community events the PSOG provides without your having to lift a finger. Once you have registered, Amazon and Ralphs will automatically donate a portion of your purchase to the Guild. To fulfill its mission the Guild presents numerous events in the Coachella Valley throughout the year. One of the Guild’s major programs is OPERA IN THE SCHOOLS, targeting youth in the greater Palm Springs area. The spring assemblies introduce opera to some 15,000 students each year. Another major event produced by the Guild is the annual DOROTHY NOCITA VOCAL COMPETITION which allows young singers to compete for scholarships. Many competition winners are currently singing with major opera companies around the world. 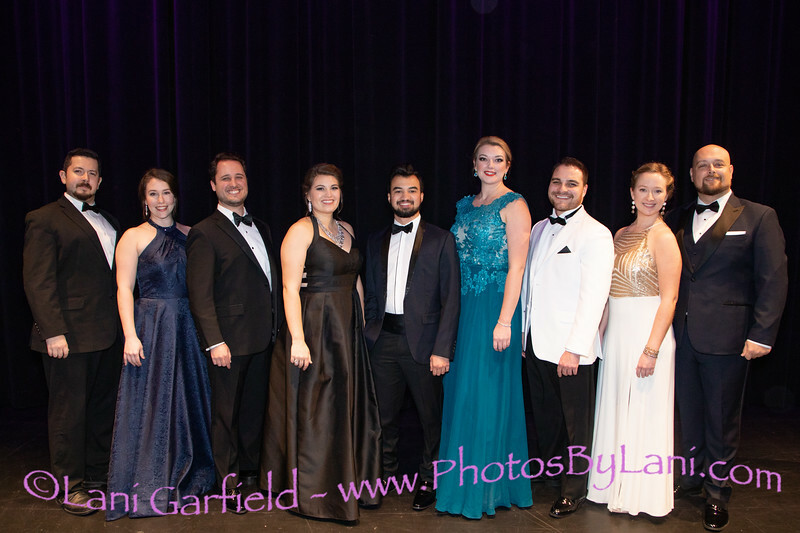 In the most recent competition, First Place went to tenor Carlos Enrique Santelli, Second Place to soprano Grace Kahl, Third Place to soprano Taylor Haines, Fourth Place to baritone Ben Lowe and Runners Up prizes went to soprano Tara Wheeker, mezzo-soprano Brennan Blankenship, tenor Luis Leon, tenor JJ Lopez and baritone Gerardo de la Torre. This educational program provides young adults to learn from Opera experts and professionals. The 2-week intensive workshop is limited to high school students in the Coachella Valley. This year the Palm Springs Opera Guild commissioned writer and composer Michael Ching to write a modern opera with a story line about bullying and depression – THRIVERS. THRIVERS was performed for the general public on January 26 at Rancho Mirage Library. The Guild’s largest annual event is the renowned OPERA IN THE PARK in Sunrise Park, Palm Springs. Every year this free concert of opera arias draws thousands from all over Southern California in a celebration of great operatic music with a professional orchestra conducted by Valery Ryvkin. 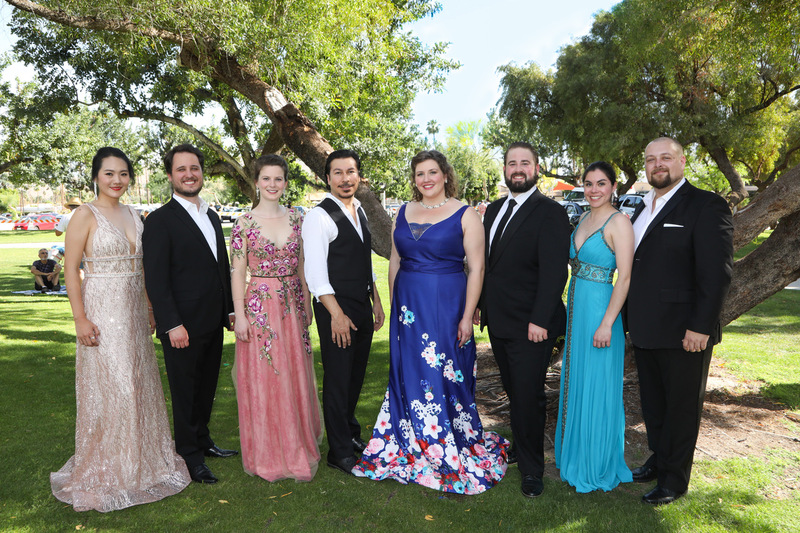 The cast in 2018 featured Liv Redpath, Alyssa Wills and Sunmi Shin, sopranos, Erin Gonzalez, mezzo-soprano, Jesús León, Carlos Enrique Santelli and Joshua Wheeker, tenors and Ben Lowe, baritone. This year’s Opera in the Park will be held on Sunday, April 7. Reserve space under the tent by contacting the office at 760.325.6107. The Guild offers a number of Prime Time Outreach lectures and performances in association with the Rancho Mirage Public Library. 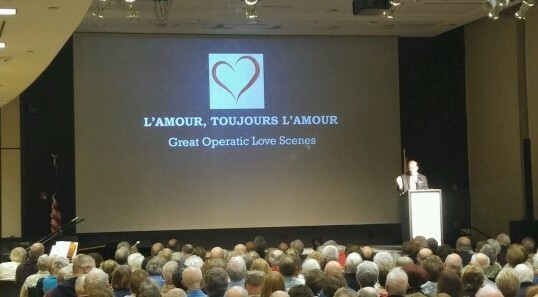 Previous library programs included a preview of Madama Butterfly, Jewish Composers and the Creation of the American Musical, The Art of Bel Canto, L’amour, toujours l’amour, Shakespeare and Opera and Attitude is Everything…a Night at the Opera. The last event, “Billions and Billions of Stars & Four Singers,” was held on January 16.